For 11 years, I had been on levothyroxine for hypothyroidism. My TSH level was never normal during that time though and every few years the dosage of my medication had to be adjusted. After I lost 185 lbs naturally, I started looking into how to fix my thyroid naturally. I discovered that usually hypothyroidism is just a SYMPTOM of something else happening in our bodies. In fact, the majority of people with hypothyroidism have an autoimmune disease called Hashimoto's Thyroiditis. Hypothyroidism is a symptom of Hashimoto's. That's when I sought the help of functional medicine doctor Dr. Emily Parke. She had me tested for Hashimoto's and I tested positive. I worked with her extensively to get to the root cause of my Hashimoto's and to optimize my thyroid levels. My thyroid levels are now more balanced than they have been in over 11 years. In the below video, I interviewed Dr. Emily Parke about hypothyroidism and Hashimoto's. If you have either of these issues or you are feeling fatigued, struggling to lose weight, etc, watch the video to get your questions answered! If you think you have or currently have hypothyroidism and/or Hashimoto's and want to seek alternative treatment methods to get to the root cause of the issue, please visit a functional medicine doctor. If you are in the Phoenix, AZ area, visit Dr. Emily Parke. If you are not in the Phoenix area, go here to find a functional medicine doctor in your area. If you are interested in health coaching so you can lose the weight for good in a natural way without deprivation, schedule your free 30-minute consultation with me today! Jennifer McKee: I am Jennifer McKee, and I am here with Dr. Emily Parke. 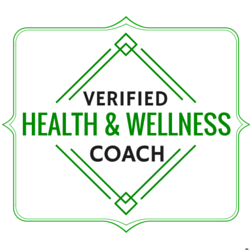 I am a certified Integrative Nutrition Health Coach and ACE Certified Health Coach as well. Dr. Parke is a functional medicine doctor, amongst other things, I believe she has a lot more certifications than just that, but she'll be telling you about that in just a few minutes. Jennifer McKee: For those of you who don't know, I've lost 185 pounds naturally, kept it off for over two years now, and my journey inspired me to become a health coach to pay it forward, help other people create healthy habits and to teach that they can also make major, major changes in their life without feeling overwhelmed and just working on their mindset because our mindset hold us back so, so much with getting to where we want to get to. Jennifer McKee: I wanted to do this interview today regarding Hashimoto's, or hypothyroidism rather, because I actually have Hashimoto's and I have hypothyroidism. My story with that is I was diagnosed with hypothyroidism in 2006 and I was told to take Synthroid or the generic version of Synthroid for the rest of my life and that was really my only option. I was told that by a traditional medicine doctor and then I started doing some research just a couple of years ago, realizing that most ... finding out that most people with hypothyroidism actually have Hashimoto's. Then I went to see Dr. Parke, she tested me, I had Hashimoto's, big surprise and we were trying to get to the root cause of Hashimoto's at that point, because hypothyroidism is just a symptom of Hashimoto's which we'll talk about. Jennifer McKee: I wanted to do this interview just to kind of educate people because there's so many people out there that have hypothyroidism who are just kind of blindly taking Synthroid not really investigating maybe some other issues that might be happening underneath the scenes. I want to hand it over to Dr. Emily Parke and I want her to, first of all, give us a little bit of background about you and then also to tell everybody what functional medicine is. Dr. Emily Parke: Sure, yeah. Thanks, Jen. I'll start with functional medicine. Functional medicine is all about finding and treating the root causes of whatever signs and symptoms are going on. It's the deep detective work of getting to the bottom of the multiple reasons why you're experiencing the symptoms you have today or the diagnosis that you have, the disease that you have. It's different than traditional medicine because in traditional medicine they teach us, and I am completely traditionally trained I went to regular medical school, internship, residency, fellowship, all on the traditional side of medicine, so my training and background is there first. Then, I got trained and certified in functional medicine, so I can kind of speak very freely to both sides of it and, of course, my heart goes naturally towards natural medicine and functional medicine. Dr. Emily Parke: In traditional medicine, they teach us when you have this symptom, here is this pill or procedure, there's not a whole lot of thought process as to why or how to work on it with lifestyle factors like nutrition, sleep, exercise and movement, stress management, toxin reduction. Those five I like to call the foundations to health, if they're not in a good place we can't expect your health to be in a good place. That is really about 80% of most health issues, the other 20% is I like to say is what's going on in your biochemistry and that's where the advanced functional medicine testing that we do that, again, they don't teach us in traditional medical school comes in really nicely, even regular traditional blood work tests we also look at them through a different lens. We don't just say, "Ah, everything's normal. Good luck. ", because there's so many people that have normal labs that don't feel normal, and we look at normal versus optimal, where you are, how it's affecting your health and what we're going to do about it moving forward. Dr. Emily Parke: That's the quick version of functional medicine, as I mentioned, traditionally trained first and then trained and certified in functional medicine. I now do 100% functional medicine at a practice here in Arizona. Jennifer McKee: I love that you have both backgrounds because that's a lot of training. One of the many reasons I love talking to you because you have such a great perspective on everything, so it's really great. That's great. Now I want to ask you, what is hypothyroidism? Dr. Emily Parke: This can get a little bit confusing when you're looking at labs, because when a traditional doctor orders a thyroid test, they're likely only going to order a TSH. TSH stands for thyroid stimulating hormone, it's really the signal of what the brain is telling the thyroid to do. What the thyroid's actually doing as far as hormones, we're talking about now T3 and T4, the TSH only gives you part of the picture. As I was mentioning, it can be a little confusing because a high TSH, so a high thyroid stimulating hormone, actually means you have a low functioning thyroid. Dr. Emily Parke: If you take a second to think about it, why that is, is because the brain is telling this thyroid that's not functioning very well, "Hey, give me better function. Pump out more thyroid hormones. ", so that's why the signal, the TSH, is elevated high in hypothyroid so it's an opposite phenomenon. The actual thyroid hormones themselves are true, as in, in hypo or low functioning thyroid they will be low and in hyper, high functioning thyroid they will be high. Just to kind of clarify that. Jennifer McKee: ... as normal on the blood tests. Is it, I forget what it says, does it say one to four or zero to four or something? Dr. Emily Parke: Yeah. Exactly, super close. For most labs, it's something like .3 to 4.5, so it's this huge range of normal, but a healthy functioning thyroid should really be somewhere between about .5 and two to 2.5 is kind of the highest limit of a healthy functioning TSH, so indication of a good functioning thyroid. The Free T3 and the Free T4, so free, free means the unbound thyroid hormone, that's what's biologically active and your cells really care about Free T3. Free T3 is the most biologically active form of thyroid hormone and there's an optimal ratio between T4 and T3, and your body is going to convert T4 into T3 and sometimes there's a slowing of that conversion which can lead to lower than optimal Free T3 which means then your cells are still kind of starving for T3 at the cellular level. Dr. Emily Parke: Now, your thyroid, something to mention, why I say cellular level is because the thyroid controls your entire metabolism of your body. There's a receptor for T3 in every single cell of the body, so it is extremely important. Ideally, you want your T3 to be approximately, about three times your Free T4. Free T4, Free T3, lab Free T3 to be about three times or so your Free T4. If it's not close to that, then you likely have a conversion issue which there's many different reasons why you might not be converting properly. Jennifer McKee: Yeah, that's really interesting, and I know that ... I know you've heard this a lot more probably than me, but I heard this from people too, where their TSH is four or something like that and their saying, "But I don't feel normal. I don't feel normal. ", but their traditional medicine doctor's saying, "Well, you're in range or it's normal so just get more sleep or just drink more water. ", whatever, but they know that there's something wrong. When my thyroid numbers were out of whack, I knew something was wrong; I was fatigued, I wanted to take three-hour naps in the middle of the day and I was getting enough sleep at night, and I was eating healthy, I was drinking water, so I knew that there was something else going on there. Jennifer McKee: I'm wondering, have you ever had a patient where their TSH was, I guess it's all the numbers not just TSH, but where it was in between the optimal and then they were like, "I'm not feeling well. ", even though it's in between .5 and 2.5. Dr. Emily Parke: Of course. I get a lot of them actually. Where the patient's went to a traditional doctor and get in, they were told everything's normal and they didn't get the help that they were looking for. Dr. Emily Parke: Yeah, a full thyroid panel is ... If you're doing a big thyroid panel, it would be a TSH, a total T4, a total T3, a Free T3, a Free T4 and reverse T3. The paired down most, common version that we do in functional medicine is a TSH, Free T3, Free T4. Why? Because, the Free T3, Free T4 are what are most biologically active. The reverse T3 is important too because it looks like regular T3s, so it's structurally similar but it can actually bind to the cells where regular T3 would normally bind, so what that means is then your cells are still kind of starving for T3 because the reverse T3 has bound it up. Dr. Emily Parke: I want to definitely make sure we mention that there's all kinds of reasons why you either might not be converting properly T4 to T3 and having higher reverse T3 and there's some really common ones. For example, inflammation, we know inflammation, we know stresses, we know nutrient deficiencies; for example, vitamin d, vitamin a, magnesium, zinc, selenium are really common nutrients that are deficient or less than optimal when there's a thyroid conversion problem. 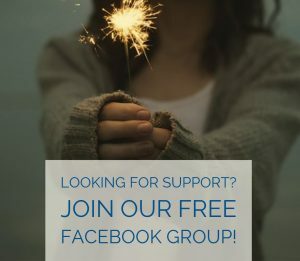 Then there's chronic infections and toxins, there's a big list of things we look at in functional medicine when you don't have an optimally functioning thyroid because at the end of the day, we want to know what all those root causes are so that we actually repair and fix the problem so that you don't continue to have issues. Jennifer McKee: Yeah. Often I think, you know better than me, but I think there's probably maybe more than one root cause that could be going on. Right? Dr. Emily Parke: Absolutely. For most people, it is more than one root cause. For most people, it's multiple things that add up to how you got where you are today. Dr. Emily Parke: Sure. There's common symptoms and there's typical symptoms that you would think of, but not, just a reminder, not everyone fits in that little perfect box of the symptoms that I'm about to describe, it is different for everybody. Dr. Emily Parke: When there's hypothyroidism, everyone thinks of an overweight or obese person, tend to have a more round face, the out third of the eyebrows can be thinned, the hair can be thinned, you mentioned fatigue, that's a huge one, energy levels, cold, especially cold hands and feet, but there can also be mood disorders, there can be depression, there can be anxiety, about 20% of patients also have musculoskeletal symptoms like muscle aches and joint pains. The symptoms are very diverse and each of the symptoms I just mentioned, there's multiple different causes of each, not just hypothyroidism, so you can't say, "Oh, fatigue. I definitely have hypothyroid. ", no, the list of things that could be going on is huge or, "Oh, my hair is thinning. What is it? ", oh my gosh, there's so many things that could be contributing to that. Dr. Emily Parke: That's the typical, the stereotypical, “hypothyroid” patient. I can tell you, I have plenty of really thin hypothyroid patients and I have hypothyroid patients that have beautiful sets of hair. The stereotypes aren't the typical, common things you learn in medical school, not everybody fits into that nice little picture. Jennifer McKee: Yeah, because sometimes I know like when I first got diagnosed in 2006, I don't remember what my TSH was, but I don't think it was that high. I think it might've been like four or five or something, it must've been at more than 4.5 if they put me on medication. The point is, I was trying to lose weight at the time and they told me, "Well, you might as well not even bother 'cause there's no way you're going to be able to lose weight with a high TSH. ", and I just was so discouraged and just thought, "Is this true?". Jennifer McKee: I actually was able to lose weight and I know on my weight loss journey now where I lost 185 pounds, during that time I was seeing a traditional medicine doctor to keep tabs on my TSH level, and during that whole time it was anywhere between a four and a seven, and I still lost 185 pounds. So, I think it might just depend on the person's body. I would say if your doctor, or traditional medicine doctor has told you, you can't lose weight if you have hypothyroidism or high TSH, still try to make those healthy changes and see what happens with your body. Dr. Emily Parke: Yeah, absolutely. There is so much more to the picture for sure, it's not simple at all. Jennifer McKee: Yeah. So, don't use it as an excuse to keep eating junk. Dr. Emily Parke: No. Yes, absolutely. Absolutely. Because if your thyroid's not functioning perfectly, we know that it will slow down your metabolism, but it doesn't ... Like you just mentioned, it doesn't make things completely impossible. Jennifer McKee: Right. Right. Also, creating healthy habits, even if you're not losing maybe as much weight as you want or even if you're maintaining, it's still good to have those healthy habits and drink water and to eat healthy anyway so you'll be a step ahead of the game once you get your thyroid where it needs to be. Jennifer McKee: Okay. The other things I want to talk about it is Hashimoto's. Hashimoto's is an autoimmune disease and is ... I'm going to let you take over and you ... Can you describe, I like how you describe things, so can you describe what Hashimoto's is and talk to about how hypothyroidism is linked to Hashimoto's? Dr. Emily Parke: Sure, yeah. As you mentioned, Hashimoto's thyroiditis is an autoimmune disease. The term autoimmune, auto, self, immune, immune system, so your own body's immune system is basically creating antibodies, antibodies are part of the immune system, that are attacking your own thyroid gland. So, your body is attacking your own thyroid gland. What happens is, is over time the thyroid gland gets destroyed and that is how it leads to hypothyroidism because when the antibodies are attacking the thyroid, it's basically kind of eating it, so the gland overtime becomes smaller and smaller and less functional. Jennifer McKee: Okay, great. I was just thinking when you were saying that, one thing I was going to say earlier, which kind of relates a little to this, but when I first went to see Dr. Parke I think my TSH was at nine. I don't remember what my other numbers were, but now my TSH, the last time I had it tested, which was a few months ago, maybe four months ago, it was at one or somewhere around there and not in my life, since I was diagnosed with this in 2006, have I ever had a TSH that low. Jennifer McKee: I can tell you that I feel great, I feel so different, it's like night and day to how I felt. So, I'm just saying this because I don't want people to give up hope because it did take us a while to figure out what dosage I needed to be on and all this stuff to kind of get my thyroid where it needed to be, but it was really worth it because in the grand scheme of things, it didn't take that long to figure out what my body needed and we did. So, I want to thank Dr. Parke for that because she's the only doctor who has ever gotten my thyroid levels where they need to be, so thank you so much for that. Dr. Emily Parke: Oh, you're so welcome. You nailed it. Thyroid hormones are exactly that, their hormones and part of the challenge with treating hypothyroidism is it's a guess where you start with dosing. You look at a TSH and a Free T3 and Free T4 and you go, "Okay. Wow, you're TSH is really high and you're Free T4 and Free T3 are low maybe we'll start with this dose. ", but it's because your body is this giant biochemistry experiment, that's exactly what you have to do. You have to start and then in about four to six weeks, we recheck blood work and we use blood work as a guide along with your symptoms, how are you feeling, guide what we do next with dosing. Dr. Emily Parke: Yeah. That, you were definitely more of an outlier as far as how long it typically takes, but it definitely takes, I would say on average two or three kind of dose adjustments and comparing symptoms before we really get it right. Then, my goodness, there's so many variations of thyroid medication and then there's compounded thyroid hormones, there's multiple different ways to skin the cat. You mentioned this at the beginning, your doctor put you on Synthroid, so Synthroid is Levothyroxine which is really a T4 analog and that's only T4, but as I mentioned a bunch of times now, your thyroid hormones is T4 and T3. There’re medications like Synthroid that are T4 only, there's medications like something called Cytomel, which is T3 only or liothyronine, and then there's the natural desiccated thyroid hormones which things like Nature-Throid, WP, NP Thyroid, Armour that naturally contain some T3 and T4 in it both. I've found, historically, that patients tend to respond better to the combination of T4 and T3, so the natural desiccated thyroid hormones. Dr. Emily Parke: The beauty of it is because you can compound whatever dose you wanted, if you have some patients that you're not getting optimal thyroid function with the exact prescription that you can write, so then you can compound it. You can say, "Hey, pharmacist, I want X amount of T4 and X amount of T3. ", he can make it happen. Jennifer McKee: Yeah. I'm glad, 'cause that was one of my questions too, is for you to talk about the different treatment options of hypothyroidism and usually traditional medicine doctors will give Synthroid or Levothyroxine. Am I saying that right? Jennifer McKee: Like you said, that's just T4 and I was on that beginning in 2006 and every few years I would start to feel fatigue. I'd have to go back to the doctor, they'd say, "We have to increase your dosage. ", so that went on for the whole time up until I saw you in 2017, so for like 11 years, every few years I had to keep increasing my Synthroid dosage because it wasn't enough, it wasn't working. Anyway, what I ended up doing with you was doing the T3 and T4, which I think made a huge difference and one thing I think that we can maybe mention was that with T3 you can't always absorb all of it at one time, so I have to take it twice a day so that my body can absorb it. Once I started doing that, I just saw so many improvements with how I felt but also in the labs too. Maybe you can talk a little bit about that, about the T3 absorption. Dr. Emily Parke: Yeah. Just in general, T4 has a very long half-life, it's about a week long, so it hangs around a long time, T3 is more like hours and that is why sometimes we have to dose T3 once in the morning and then once in afternoon, and also, I sometimes, if we do compound it, we can actually make it sustained release of T3 so that there's more T3 floating around. That's not super common, but you've experienced it and I've had plenty of other patients that we have to get creative with the thyroid dosing in order to get you feeling better and to get the optimal thyroid function labs that we're looking for. Jennifer McKee: Yeah, that's the thing. Like we said, everyone's body is different, it's sort of a trial and error kind of thing to see what's going to work for somebody. Yeah, totally. Jennifer McKee: Let's talk now about the root causes of Hashimoto's. I think this is interesting because there's so many different root causes of it and the other thing too is, I think Hashimoto's seems to be pretty similar, common I mean, I know so many people that have Hashimoto's that I was quite surprised by how common it is. I don't know if you can speak to that, but also what the root causes are as well. Dr. Emily Parke: Sure. Yeah, Hashimoto's thyroiditis is one of the most common autoimmune diseases and auto immune diseases, on a whole, are 100% on the rise, so we're seeing more and more of it. Dr. Emily Parke: Rheumatoid arthritis, yeah exactly, so it would apply to other autoimmune connective tissue disorder, it applies to Sjogrene's syndrome, it applies to all of ... There's so many autoimmune diseases I can't keep up. It really applies to all of them because that's the foundation of functional medicine is finding and treating those root causes, those triggers. In regards to autoimmune disease, when you have one what you know is you have a genetic predisposition, not everybody with the genetic predisposition gets the disease. Celiac disease is a perfect example, there are some countries that have about 30% of the population has a celiac gene with only 1% of the population actually has celiac disease, so what's the difference, why. Dr. Emily Parke: Not every auto immune disease has a gene, like celiac disease has a gene, but it does tend to run ... autoimmune diseases certainly tend to run in families and, no, there's not one Hashimoto's gene that we know of yet. Dr. Emily Parke: There's the genetic predisposition and then there's the triggers that kind of flip on the auto immune disease, and as we mentioned earlier, it's usually multiple things that happen over time. Now, you can have someone that had a significant traumatic event, toxic exposure, something that happened one that triggers it, but it's way more common to have things start early one in life and then just kind of add up and eventually get that last straw that breaks the camel's back and here it is. Dr. Emily Parke: So, it is really important to figure out what those triggering events are, what those triggering causes are because if you don't, your disease is still going to be moving forward even if you take medication, even if you still start feeling a little bit better, you're not going to all the way get there until you figure out what all those root causes are and start working on them. Dr. Emily Parke: I think you asked me what are common root causes. Of course, the gut, 80% of the immune system is located inside the gut, so what is going on there? Do you have enough beneficial bacteria? You want to make sure, of course, you have enough good guys. Do you have an overgrown pathogen, do you have an actual parasite or do you have bacteria that is not found in those levels inside the gut? Not even necessarily, true acute infection, but even a chronic infection. Do you have an overgrowth of bacteria going on in the small intestine? Do you have a yeast overgrowth? We could go on and on. Do you have food sensitivities? The gut, food sensitivities is very common as well, and I always as part of the auto immune disease process, in treatment, I always send people through an elimination and reintroduction process to help figure out what food sensitivities are. That's gut, gut is really common. Dr. Emily Parke: Then there's the HPA Axis or the adrenals and stress is one of the biggest triggers that is out there and I have seen stress by itself with nothing else going on in someone's life that's changed, trigger autoimmune disease. Dr. Emily Parke: Yeah. Yeah, exactly. That's huge and stress is stress of all kinds, by the way. Not just mental emotional stresses like we think of, but the term stress really applies to your entire body, what's called your total allostatic load, so the total amount of stresses coming in from all places. Mental emotional stresses, physical stresses, chronic infection stresses, inflammation it all kind of adds up to one giant load on the body. Jennifer McKee: Yeah. The other thing too that I found kind of interesting, and I don't ... Well, there's two things I think of, one is that I've heard that a majority of people with Hashimoto's have a gluten sensitivity or intolerance, so I think people with Celiac disease, do a lot of them have Hashimoto's or, I think I read something about that. I'm not sure. Dr. Emily Parke: Yes, okay. It's very common when you have one autoimmune disease to have two or three sets of antibodies, so it's not uncommon to have patients that have more than one autoimmune disease going on, so number one. Number two, yes, you are correct on gluten. Gluten is probably the top trigger as a food sensitivity for autoimmune diseases of all kinds, but in Hashimoto's there's actually a theory that ... because gluten looks kind of structurally similar to the thyroid, so the theory is that there is this process called molecular mimicry where when you eat gluten you're immune system in your gut sees it because it leaks through the intestinal lining, which the lay term is leaky gut, the medical term is intestinal permeability. Dr. Emily Parke: When you eat gluten, what happens is it creates a little bit of inflammation for everybody, whether you're gluten intolerant or not, but if you have a really healthy immune system and everything's going great, you have all the nutrients to repair it what will happen is the tears will heal up pretty quickly, but if your immune system's aery, you've got stresses, toxins, chronic infections, nutrient deficiencies, etc. those little tears don't quite heal up and what happens is food starts to go from the lumen of the small intestine where it's supposed to be, it's supposed to be a closed circuit from here to here. Dr. Emily Parke: When you get this intestinal permeability going on, then all of the sudden your immune system, and again, 80% of your immune system's located in the gut, very rich in lymph nodes and lymphatics, and your immune system sees that and it goes, "What is that in the blood? I don't usually see that. ", so what does your immune system naturally do when it sees a foreign invader, it creates antibodies 'cause it's like, "I got to get this thing. Why is it in the bloodstream? ", so when those antibodies come out and about that's when, gluten, that's when, for Hashimoto's patients, that's when you can get basically a Hashimoto's kind of crisis or uptake in antibodies because it looks structurally similar to the thyroid, so then your body you will go, "Oh, okay there's more. The thyroid looks just like that. ", and so the antibodies will rise. Jennifer McKee: That's really interesting. The other thing I was going to say about gluten is, I had originally done an elimination diet for a lot of things, but gluten included, and I cut gluten out for about, I think eight weeks, and I reintroduced that in and I could not tell any kind of issue with my body. When I cut gluten out for six months and then had gluten again, I thought someone had drugged me. I had bloating, but I had fatigue more than anything which I thought was interesting because I don't know if that's common or not, but every time that I'll have gluten, if I go a long time without it and then have it, I feel like someone has seriously drugged me fatigued. I feel like I need to take maybe a four hour nap, not a three hour but a four hour nap. It was interesting that after cutting it out for eight weeks I couldn't tell that, but I know with gluten sometimes it takes longer to get out of your system completely. Dr. Emily Parke: Yes. On average ... you guys listening out there, if you're thinking, "Oh, do I have a food sensitivity or not? ", whether it's gluten or anything, the minimum amount of time to take it out is 30 days, notice I said minimum. Now, you just described two months and you didn't really notice a difference, you had to do it for six months. There are people just like you, Jen, that are exquisitely sensitive to it and so it takes your body's immune system longer to basically calm down from it and that's you. Most people within 30 days to 60 days, certainly 90 days, most people can tell because your antibodies, your immune system response comes down enough to where when you do reintroduce it, it becomes obvious. Dr. Emily Parke: If you try to reintroduce it before your immune system has calmed down, you have to have at least a 50% reduction usually in the antibodies, in order for you to tell if there's a symptom or not. If you happen to be an outlier and slow to get it out, then it might take a long time for you to tell. Jennifer McKee: Yeah, yeah. Definitely. I wanted to mention that in case there's anybody else that's a little maybe unusual like me who might have had cut it out and been like, "Well, there is no ... I don't feel like any difference. ", I would say, "Well, you might want to consider cutting it out for a longer time and then try and reintroduce it, just to see.". Especially if you have a thyroid issue or something like that. I don't know if you would agree with me on that or not. Dr. Emily Parke: Absolutely. No, 100%. You know, nutrition wise definitely doing a gluten elimination is important as a trial, because statistically it's a very, very common food sensitivity and trigger for antibodies in Hashimoto's. Globally, the food plan I love, there's certain things that you should definitely we should all do better at. As you mentioned, you want to make sure you're hydrating, want to make sure you're getting enough plant foods in your diet, that's where the eight or more servings of plant foods a day comes in, should be mostly vegetables, maybe one to two servings of fruit in that whole day. Less processed and packaged food items, less artificial colors and sweeteners, less sugar ... Those are all kind of global things that everybody out there can do to help improve their health. Dr. Emily Parke: If you look at other common triggers for auto immune disease, there's definitely gluten, but other grains can do it too. For example, corn is a common one but it can be any grain that can trigger. We'll have people with Hashimoto's and other autoimmune diseases do an elimination of grains, dairy, dairy's another common one, legume family is less common but out there, and soy. Those are common food triggers for autoimmune disease patients. If we wanted to add another category, it would be egg, egg is another big sensitivity. So, I have people do at least a 30 day, if not a 60 day, elimination of at least those items and sometimes I put people on more of what's called an autoimmune protocol, depending on how severe their situation is when they come to me and how big of a dietary change it is all at once. Right, Jen? Talking about habits. Dr. Emily Parke: I use the paleo template to do this, so if going on a regular paleo diet is a big enough change, I'm definitely going to start there 'cause I'm not going to ask you to do an advanced auto immune protocol diet going from eating fast food three times a day, that's not practical. Dr. Emily Parke: If it goes well, we'll go well long term. Dr. Emily Parke: Yeah. You know, slow and steady wins the race a lot of times with these changes and if you are going to do a food elimination like Jen did, you want to really commit to it. It's one of those situations where if you happen to be in the small percentage of people that are exquisitely sensitive, if you have that food item again, your immune system goes right back up, so then it's going to take however long to kind of come back down. Jennifer McKee: One thing too, when I started looking at this stuff and doing the elimination diet and started looking at labels. I don't eat a lot of processed foods, but I do eat some stuff that's packaged and just looking at that stuff, I could see a lot of it contains soy, I feel like soy is in almost everything. Jennifer McKee: Ever since then, I actually don't really eat soy hardly at all, but that's just my own personal choice. In talking about this is just that, sometimes soy, gluten even, well corn, I don't have to tell you but it's in there, you have to actually look at the ingredients to see, but those things are in so many things that we think that they're not in. Jennifer McKee: ... doing something like that. Anyway. Thank you so very much for your time. I don't know if you have any additional comments you would like to say anything I didn't cover but you've answered all of my questions. I don't know if you have anything else that you'd like to say. Dr. Emily Parke: No, this is great. I do ... I guess the last thing I would say is I have had patients recover from Hashimoto's thyroiditis. It's possible, not everybody can we get antibodies down to undetectable or within normal ranges, but it is possible for some. I do have some patients in the practice that we have been able to successfully do that. Now, it takes time and I'm talking a year or two. Actually, my last Hashimoto's patient it took two years, but she's actually off thyroid medication and has optimal thyroid function and no thyroid antibodies at this time. So, it's possible. It might not be possible for everybody, just to keep that in mind, but you always want to make the healthier lifestyle choices and you want to get those antibodies down as much as possible, as much as you can. We're always able to reduce the antibodies, but whether we can make them go away completely or not is a little bit variable depending on how long you've had the disease and how severe it is. Dr. Emily Parke: I would say don't give up hope. If you feel like you may have a thyroid problem, find a functional medicine provider in your area so that you can get adequately tested with more than just a TSH, you want to get the full thyroid panel with thyroid antibodies to find out what's going on. Jennifer McKee: Yeah. I'd also say if you've been to a traditional medicine, it doesn't have to be a traditional medicine doctor, if you've been to a doctor period and they're telling you your levels are normal and they're not really helping you try to get to the root cause when you know that something's going on in your body, I would invite you to see a functional medicine doctor, like you said, in your area. Can you give the web address for where they can do the locator? Jennifer McKee: Could you let listeners know how they can find you if they're in the Phoenix, Arizona area? Dr. Emily Parke: Awesome. Thanks, Jen. Yeah. You can visit my website which is azwellmed.com or dremilyparke.com, my name. I'm located in Paradise Valley, Arizona which is really close to old town Scottsdale, and myself and three other practitioners doing functional medicine at my practice, so yeah, we'd be happy to help if you're local. Jennifer McKee: Great and if anybody's interested in losing weight or creating healthy habits and trying to get past self-sabotage or anything like that, you could get a free 30-minute consultation with me. My web address is mckeehealth.com. Anyway, thank you so very much Dr. Parke for being here, I really appreciate it. Thank you so much. Dr. Emily Parke: You're welcome. The information provided in this blog is for general educational purposes, has not been reviewed nor approved by the FDA and is not intended to take the place of advice from your medical professional, licensed dietitian or nutritionist. You are solely responsible for your health care and activity choices. 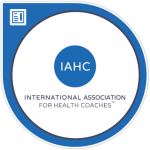 Participation in this blog does not constitute a client-coach relationship. Click here to join my mailing list to receive information about free challenges, webinars, online programs, special offers, recipes, and more!